Blocks are all natural solid maple wood. 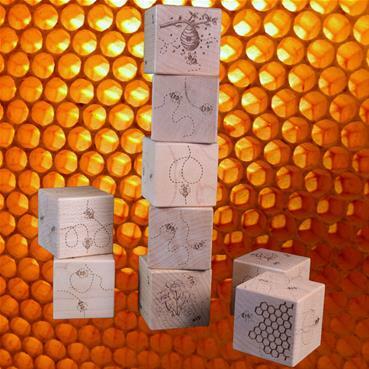 All 6 sides of the blocks are laser engraved with images related to the bees and their journey. Images of bees, flowers, hives and honeycombs adorn the blocks.